A shoutout to Mrs. Reynoso’s class in El Paso, Texas at John Drugan! 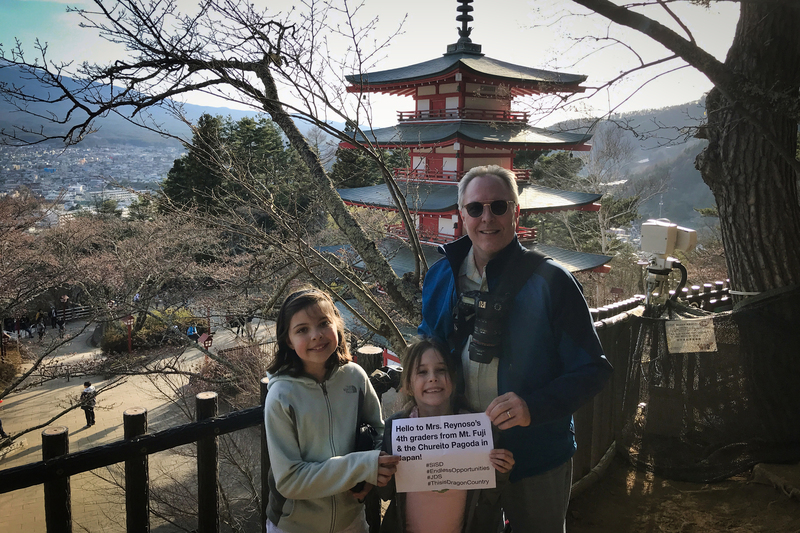 Yesterday we travelled to the Chureito Pagoda near Mount Fuji, Japan’s tallest mountain at over 12,000 feet. Just like El Paso schools, our girls are on Spring Break too. Hope you have a great time while you’re out of school!